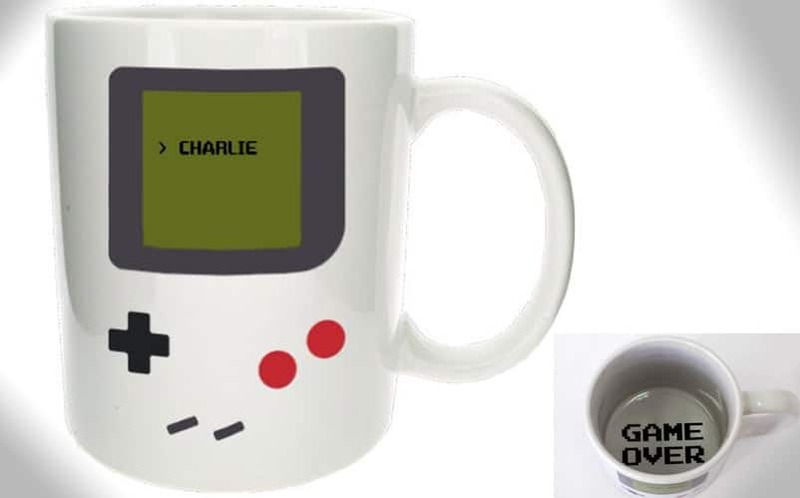 Gameboy Coffee Mug | Nerd Much? If you’ve ever felt the struggle of trying to play your Gameboy at night on the car ride home from wherever your parents dragged you to, this Gameboy Coffee Mug is for you. Not only does it have a face that looks like the classic Nintendo handheld of yesteryear, it also reads “GAME OVER” inside the bottom of the mug. You know, so you get to feel that same feeling of disappointment that you felt when you couldn’t beat Donkey Kong Country 2 when your coffee runs out. The mug can also be personalized with your name on the “screen.” We’re a little surprised the that the mug is white instead of that awful color gray that Nintendo used for the original Gameboy, but it’s cool enough as it is. This is one nerdy coffee mug you simply can’t pass up. For more frivolous but cool stuff you probably shouldn’t buy because you have to pay rent but will anyway because it’s THAT cool, stay tuned to Nerd Much.